Selling your home can be a nerve-wracking, stressful undertaking. That process becomes even more intimidating if you need to sell it quickly with as little fuss as possible, which means you’re likely looking at selling a home without an agent. Letting a realtor handle the sale of your home is a great convenience if you have several months to let your property sit, and you’re willing to give up at least 6% of your home’s final sale price to the realtor, along with other hidden fees. To put that into perspective, if you sell your home for $300,000, you’ll be paying your realtor around $18,000 just for the convenience of not having to sell it yourself. $18,000 isn’t small change, but that’s nothing compared to the months or years you could spend waiting around for an interested buyer. 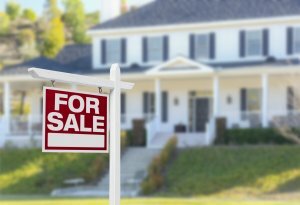 So how does one go about selling a home without an agent? We’re laying out everything you need to know from pricing to marketing and everything in between! You might be surprised to find that it’s not nearly as complicated as you might expect. The most important step in successfully selling a home is setting the right price. If the price is too high, you won’t get any bites on your property. If it’s too low, then you’re cheating yourself out of what your home is worth. So how do you find out what kind of price you should set? This seems like the kind of thing that a realtor would be the expert at, right? Right! So call a realtor and ask for a suggested listing price! Surprisingly, most local realtors are happy to check out your home and suggest a price for you at no charge! They’re willing to help you out for free because they know that in a few years when you actually do need a realtor’s help, they’ll be the first person you call. Just be sure to tell them that you’re planning on selling a home without an agent, and they’ll understand. If they try to charge you, hang up and call someone else. A smart realtor is in it for the long term business. If you’re selling a home without an agent in the Dallas/Fort Worth area, you actually have a few different options for putting your home on the market. There’s the hassle-free option and then one that requires a bit more work on your part. The traditional (and more complicated) method of putting your house on the market means that you have to work with a listing service to put your home on multiple listing websites where potential buyers can find it. Professional listing services know the ins and outs of the market, so they can place your home on the best websites for your area and type of home. One of the major downsides to this method is the cost. Listing services charge based on the final selling price of your home, but even if it sells for less than $100,000, you’re still looking at between $200 and $1,000 for any decent service. The more hassle-free method, especially in the Dallas/Fort Worth area, is selling directly to investors. There are several reasons why this might be the most appealing option to you. Over the last decade, the housing market has seen a growing number of complaints about low appraisals, along with a tightening of financial restrictions, so investors are more willing than ever to offer you a full cash payment with a quick turnaround time. 2. Close the Deal Fast! When selling to an investor, you don’t have to worry about showing the home to multiple prospective buyers. You’ll show it to an investor who will make you an immediate cash offer, and you’re done. The investor will buy the property “as is” and you can close the whole deal from start to finish in as little as 7 days! When you sell your home with an agent or listing service, a good chunk of your profit goes to fees and hidden costs. The realtor gets an average 6% commission, closing costs take an average 2%, repairs and renovations fall to you, and potential buyers often want their own appraisal before they’re willing to make an offer. With an investor, they cover all repairs, there’s no appraisal process, and there are no closing fees. Just cash in your hand! Up to 15% of home sales fall through during the process over inspection and repair disagreements, or financing issues. When selling to an investor, they buy the home “as is,” so there’s no inspection and negotiation over who pays for repairs. The sale is immediate and guaranteed, so you don’t have to worry about flaky buyers wasting your time. Selling a home without an agent can seem really intimidating from the outside, but it’s not nearly as complicated once you know what you’re doing, and it’s far from impossible. Even if you’re forgoing a real estate agent, the traditional method of selling a home is still going to cost you quite a bit in fees, commissions, closing costs, repairs, etc. And it still might take an undetermined amount of time to find a buyer, go through the appraisal process, and then finalize the sale. That’s why for many people, one of the smartest options they can go with is to sell to a real estate investor. With this option, you don’t have to worry about a real estate agent’s commission, closing costs, appraisal, repairs, or any other hidden fees. It also makes it far more convenient for the seller, because you don’t have to wait around several months for an interested and qualified buyer who will haggle the price around based on their own appraisal. So if you’re looking for the quickest and most painless way to sell your house and have the cold, hard cash in your hand a week later, then don’t wait! Contact a qualified real estate investor and get your home sold today!